Believe it or not, that delightful little pup is going to mature into a faithful, resolute companion who will protect your kids, defend your property and even perform tasks and tricks. Documenting those fun and fleeting days of puppyhood can help you remember just how little he was at one time. You don’t have to invest a lot of money or time – a smartphone and an Internet connection are all you need to document the changes your pup goes through as he grows. You’ve seen the adorable shots of human newborns, detailing just how tiny they truly are. From closeups of soft paws to portraits that showcase those still floppy ears, you can do the same for your white German shepherd pup. If you have a family portrait scheduled or simply want to hand this project over to a pro, most portrait photographers are happy to oblige. Choose a stuffed toy for your new pup, and snap a photo of her with the toy each week. You’ll start to see changes as she grows – and her size in relation to the toy will document the process. That stuffed bear or duck may be as big as she is today, but in a few short weeks, she’ll grow rapidly; the toy will help show how much she has grown each week. On her first birthday, assemble the shots into a slide show to save, share and enjoy. 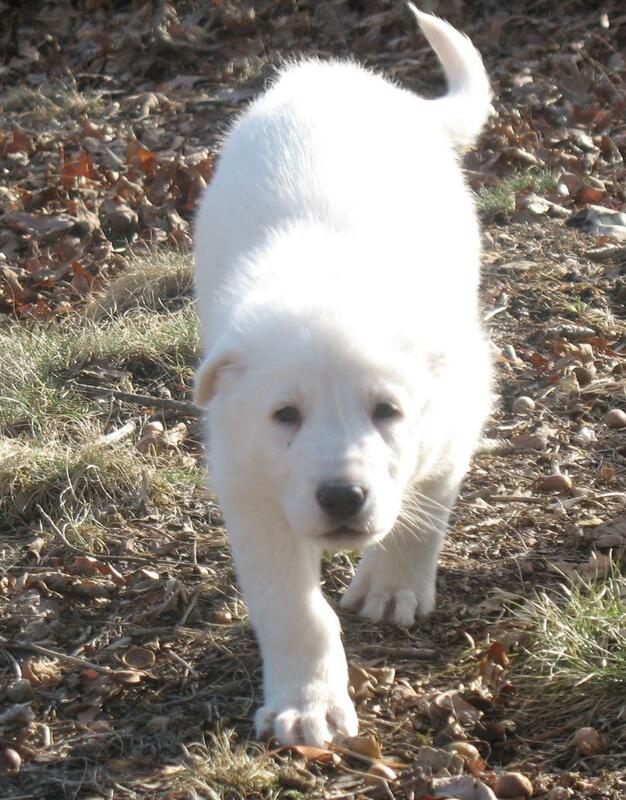 A white German shepherd pup as young as 8 weeks can begin to learn simple commands and participate in fun, bonding training programs. Document your efforts on video so you can see just how far you’ve come. German shepherds are known for their keen intelligence, and training gives him time with you and a mental workout he will look forward to. Documenting these sessions with a video camera allows you to see the moment he “gets it” and showcases the work you’ve both put in. Whether you go with a pro, snap your own images or even shoot some video, grab the camera often. German shepherds grow quickly, and the cute puppy days don’t last that long. Soon you’ll have a powerful and valiant companion who follows your every move, but it is still fun to look back and see just how little your pup once was.